In case you need a quick reference for a country’s colonial history and date of independence, here’s a useful map. Via Cherokee Gothic, which, along with Chris Blattman, is also one of my favorite blogs for keeping up with development economics. 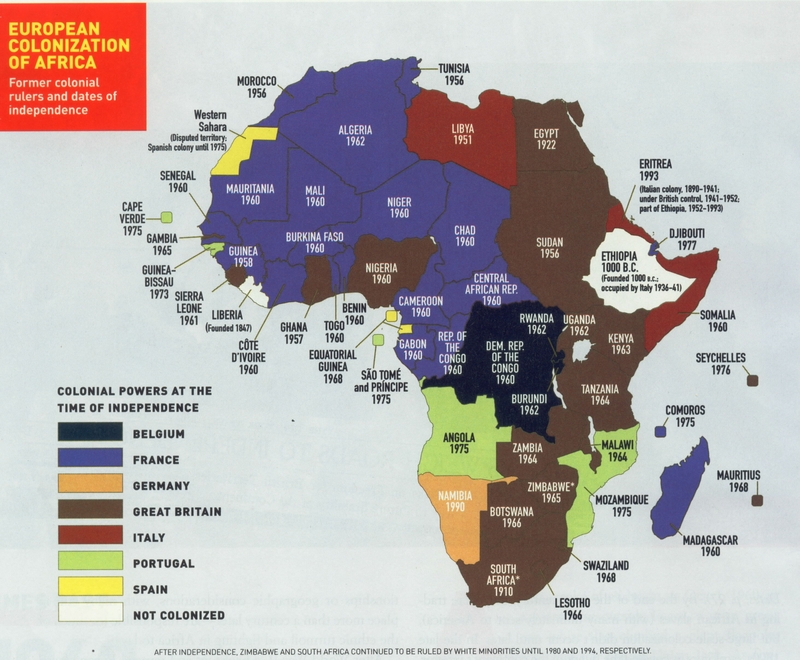 I understand that this is a map of European colonization, and I am also aware that on such maps of 19th century Africa it is commonplace to show Liberia as in the same category as Ethiopia—that is, “not colonized.” However, I don’t really understand this classification. Liberia was colonized—by Americans. The concept of Liberia was invented and implemented by the American Colonization Society. It did not exist as a coherent entity previously, much less was it recognized as independent by other states making such judgements. It was not an ancient empire like Ethiopia, and it’s coastal development by non-Africans systematically subjected the interior communities and civilizations to its centralized rule, very similar to other West African colonies. Cool map, thanks or sharing! It’s interesting that German colonization is largely absent though. Next Next post: Do PDAs reduce transcription error compared to paper surveys?